Locals fear teens are "running wild" as they gather in this Northumberland town late at night. But police in Bedlington say they're cracking down on ringleaders who are making innocent members of the public feel unsafe. Despite an overall reduction in criminal activity over the last year, over January and February locals say they've felt menaced by groups of teens hanging about in the streets and parks. Police say teenagers are known to be travelling from across Northumberland to meet up in the town. With youngsters as young as 12 and as old as 19 sometimes meeting in the same parks and public places, officers say younger children are at risk of coming into contact with alcohol and drugs. 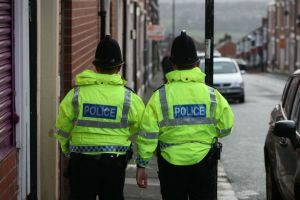 ChronicleLive visited Bedlington to find out what was happening, and sat down with Northumbria Police to find out what's being done about it. Outside supermarkets in Bedlington, many shoppers said they'd noticed a recent spike in groups of teenagers causing disruption around the town. A drunk woman hurled shoes at passers-by and told police officers who offered her a lift home to "f**k off". 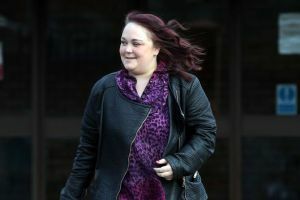 Lauren Nash was screaming and swearing at members of the public and throwing her shoes outside Market Tavern in Bedlington, Northumberland, overnight between January 12 and 13. Northumbria Police officers were called to the scene on Market Place to reports of an "intoxicated female" by the owner of the pub. Nash attempted to run away from officers, and told one “go f**k yourself you c**t” when she was offered a lift home. 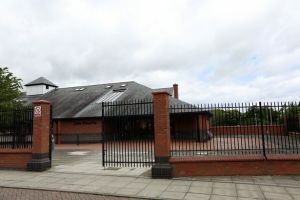 Nash appeared at South East Northumberland Magistrates' Court on February 7 and pleaded guilty to one count of being drunk and disorderly in a public place. Prosecutor Laura Lax said: "Police were called to attend the Market Tavern following a report of an intoxicated female. Egged on by his friends, this drunk dad tried to get his mate kicked out of a hotel by telling police he was building a bomb. Dad-of-one Steven Lambert enjoyed a night drinking Stella Artois at his home in Bedlington, Northumberland, before deciding to dial Northumbria Police. 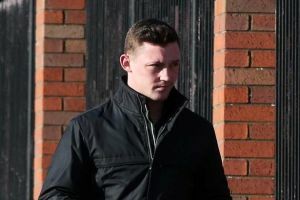 In a bid to get a friend kicked out of the Royal Court Hotel in Coventry, the 28-year-old falsely claimed his pal was making a bomb. Officers investigated and soon discovered the report to be false, and arrested the 28-year-old the same day. 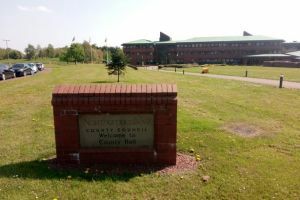 Lambert, of Corchester Road, Bedlington, pleaded guilty to a charge of communicating false information on a bomb hoax after appearing at South East Northumberland Magistrates' Court on February 7. He was sentenced to 18 weeks in prison - suspended for 12 months - and ordered to 300 hours of unpaid work and to pay £155 in court costs. 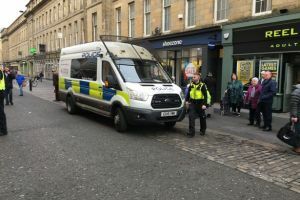 A man has appeared in court accused of sparking a bomb scare in Newcastle city centre after a fake device was allegedly found in a supermarket. Tesco on Clayton Street, Newcastle , was evacuated on January 15 after a "mobile phone with wires to a battery pack" was found on a shelf. James McDonnell, 53, of Appleby Gardens, Gateshead, appeared at Bedlington Magistrates' Court on February 11 charged with the offence. He is also accused of stealing £160 worth of whisky. Mr McDonnell pleaded not guilty to the bomb hoax matter and did not enter a plea to the theft charge. He will appear at Newcastle Crown Court on March 12. An £8 billion black hole by 2025 could swallow up popular - but discretionary - council services, local government leaders have warned. Just to stand still and deliver the same services currently being provided today - which have already been significantly cut in the last decade - the Local Government Association (LGA) estimates that councils would need an additional £8billion more than they are expected to have by 2024-25. The organisation has launched a campaign to influence the forthcoming Spending Review by warning about the growing risk to vital local services if the Government does not take action to secure the financial sustainability of councils. But the LGA also said that, with the right funding and powers, councils can continue to lead their local areas, improve residents' lives, reduce demand for public services and save money for the taxpayer. Between 2010 and 2020, councils will have lost almost 60p out of every £1 the Government had provided for services. The LGA's chairman, Lord Porter, a Conservative, said: "The money local government has to provide vital services is running out fast and huge uncertainty remains about how councils will pay for services into the next decade and beyond. Police are searching for a missing man who may have travelled to Scotland. 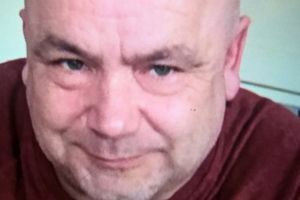 Andrew Malcolm, 46, was last seen on Bolam Place, Bedlington on Tuesday February 5 and officers are becoming increasingly concerned for his welfare. It is believed that he may have travelled to the Dumfries and Galloway area and anyone with information is urged to get in touch. A spokesperson for Northumbria Police said: "Officers are growing increasingly concerned for his welfare and are keen to make sure he is fit & well. "Andrew is described as white, of stocky build with a bald head. He was last seen wearing a navy blue T-shirt, black jeans, a black hoodie and black Timberland boots. "‪It is believed he may have travelled to the Dumfries and Galloway area of Scotland. Private surgery helped this teenager live a normal life again - but now she's facing the prospect of yet another operation. Lucy Huddleston, 17, suffers from adolescent idiopathic scoliosis, a condition which causes her spine to be curved and twisted at the top and bottom, leaving it stuck in a distinct 'S' shape, which was getting more and more pronounced. The only NHS-funded treatment available would have fused her spine together, severely limiting her movement. So eager to keep Lucy moving, her family raised over £50,000 and travelled to Germany for surgery. But now, Lucy is facing yet another costly operation as the spinal curves which had been corrected begin to worsen again. Dad Mark Huddleston, 46, said: "We are so grateful to the people who helped raise money for the operation. This is the spine-tingling moment local darts ace Chris Dobey walked out at the Utilita Arena to Newcastle United anthem Local Hero. A Magpies fan, for years Dobey has been on the terraces watching his boyhood football club walk out on to the St James' Park turf to the guitar-riffs of Mark Knopfler. 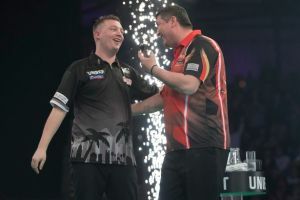 And on Thursday night, he got to experience that himself at the Premier League darts in Newcastle, as he was given a rapturous ovation by his home support ahead of his 6-6 draw with Austria's Mensur Suljovic. "It was a dream come true to play in front of that crowd tonight, I felt like Alan Shearer at one point!" Dobey told PDC.TV after the game. "If it wasn't for the fans spurring me on I could've easily thrown that one away and it was a great feeling to get the draw in the end." Dobey was handed the opportunity as one of nine wildcards who replaced injured two-time world champion Gary Anderson. For every boy growing up in Newcastle and its surrounding areas, the dream is to play for Newcastle United at St James' Park. And Bedlington darts star Chris Dobey was no different, and he was still visibly excited to be at the home of the Magpies for the launch of the 2019 Premier League darts. But as he sat down to talk to Chronicle Live, he explained why making his Premier League darts debut at Newcastle's Utilita Arena will be the 'next best thing'. "Every kid's dream is to get out there and play on that pitch but unfortunately football wasn't for me," the 27-year-old explained. "I have come in to the darts world where I am getting the chance to play in front of the next biggest stage in Newcastle in front of a home crowd. Hopefully it will be an amazing feeling. "I am going to enjoy it. It is a once in a lifetime opportunity but hopefully I can get up there permanently in the next few years." A vision to bring passenger trains back to Ashington and Blyth by 2022 should be a government priority as it will boost opportunities for people living in some of Britain's most deprived communities, a report says. Northumberland County Council has pledged an extra £3.5m towards a goal of restoring passenger services to 20 miles of track which links Newcastle to Ashington and Blyth . Only freight trains have operated on the Ashington, Blyth and Tyne Line since passenger stations were closed in 1964. Today, the council has pledged an extra £3.5m to pay for design work, impact assessments and a range of engineering and ecology work, with a feasibility study nearly complete. Northumberland County Council aims to submit a full business case and design details by the end of the year, and says the plan is to run passenger trains between Newcastle and Ashington by 2022. 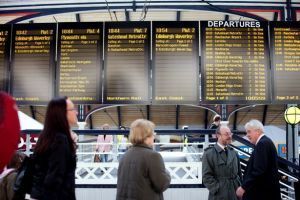 Reintroducing passenger services to the current freight line could boost the local economy by up to £70m with more than 800,000 annual return journeys by 2038, the local authority says. Council leader Peter Jackson said: "We have always supported this ambitious proposal to help secure future jobs and growth across the whole county. Bedlington darts ace Chris Dobey says it will be a 'dream come true' when he makes an unexpected Premier League debut at Newcastle's Utilita Arena on Thursday evening. Each year the cream of the darts crop do battle in a 10-player league to be crowned Premier League darts champion and take home the £250,000 first prize 'Hollywood' will get his first taste of Premier League action when he takes on Mensur Suljovic in front of his home town crowd. The news came as somewhat of a surprise on Monday, after two-time world champion Gary Anderson pulled out of the 16-week event with a back injury. Instead of replacing Anderson with a tenth player in the league, the PDC decided to offer nine players a wildcard entry across the first nine weeks of the competition. “First of all everyone at the PDC would like to wish Gary Anderson a speedy recovery back to full fitness as soon as possible,” said PDC Chairman Barry Hearn. “Gary’s withdrawal has opened up an incredibly exciting opportunity for the nine contenders to go out and show what they’ve got on some of the biggest stages in world darts. “The young players who impressed at Alexandra Palace have already shown they can cut it in darts’ biggest ever tournament. “The local favourites have earned their chance to entertain the crowds and TV viewers, with every one of them will bringing something different to the Premier League party in 2019, and I’m sure they’ll cause a few shocks along the way. “The PDC has always been about giving opportunities to players and we felt this was the perfect chance to do something revolutionary, as we now look forward to an exciting year of Premier League Darts ahead in 2019." Politicians say they're "devastated" at delays to a £10m development intended to revitalise a Northumberland town centre. The scheme to regenerate the site of the former Tesco supermarket, in Bedlington, is on hold. Delays came after the much-anticipated 'well-known food retailer', said to be interested in the site, could not be locked down. Early work to prepare the site has been completed, but has now stalled, until the key "anchor tenant" can be confirmed for development. Estimated to cost £10m overall, it was also set to feature more shops, apartments and car parks. Work was initially meant to start in “late 2017”, but ground was eventually official broken in November last year. 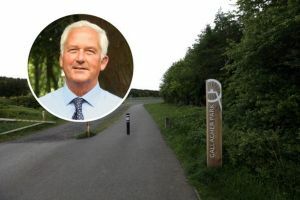 Representatives of Advance Northumberland, the council company delivering the project, insist they remain "absolutely committed" to the scheme, and will begin discussions with other companies who might fill the gap. But Bedlington Labour representatives have expressed their concerns. 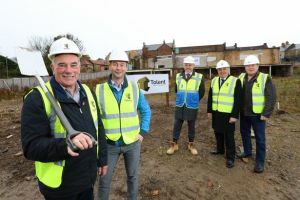 The redevelopment of Bedlington town centre has stalled while final sign-off from the key tenant is awaited, following the completion of ground works. And a warning has been issued that if no word is received soon then other interested parties will be sounded out. 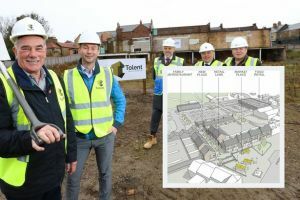 Advance Northumberland is leading in the delivery of the major regeneration project focused around the town's former Tesco site. 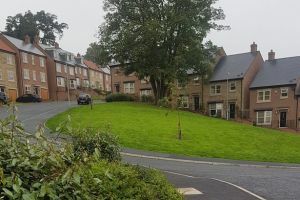 The Northumberland County Council-owned development company, which replaced Arch, describes the scheme as an "opportunity to reposition Bedlington as a retail destination, improving amenities and giving local people greater choice". Tolent, Advance Northumberland's appointed contractor, has recently completed an enabling package of works to prepare the site for construction. However, the actual development can only start once the anchor tenant formally commits to the scheme. 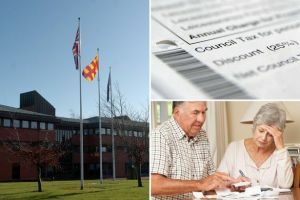 Cuts to council tax support in Northumberland were given the final nod this week as the cost-saving measure was put to a vote by all county councillors. From April, all households in the county will have to pay a minimum of 8% of their council tax bill, following approval for changes to save £1m a year. At Northumberland County Council's full meeting this week, members agreed a reduction in the level of council tax support for working-age claimants to 92%. The current scheme provides up to 100%, meaning that some households pay no council tax. To a typical band A property, the change will mean a council tax bill of £98.55 per year for a couple/family or £73.91 for a single person. 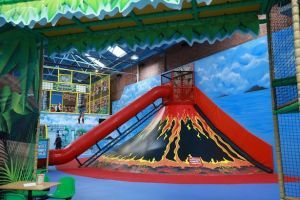 The much-discussed proposal, which has attracted some fervent criticism but was supported by a majority of respondents during a six-week consultation, was passed by 31 votes to 26. There were six abstentions - the Lib Dems and the Bedlington Independents - who could have swayed the vote the other way. 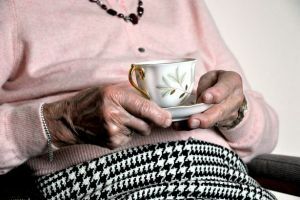 An elderly woman had her purse stolen on Boxing Day after being asked for a glass of water in an alleged distraction burglary. 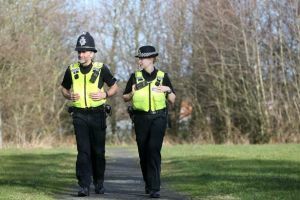 An investigation was launched by officers at Northumbria Police after a report was made on December 26 of an alleged burglary at the home of an elderly woman on Disraeli Street, Blyth. The alleged victim reported that a man had knocked on her door asking for a glass of water – but later discovered her purse and a couple of other items were missing. Police believe the man had attempted to disguise his identity using a coat, scarf and glasses. Christopher Beaney, 40 from Lonsdale Avenue, Bebside, was later arrested and charged with burglary. He appeared at Bedlington Magistrates’ Court on December 28 where he pleaded not guilty to the offence and is next due to appear at Newcastle Crown Court on January 25. Detectives have made a fresh appeal for witnesses after two people were allegedly stabbed in Alnwick minutes apart. The two alleged assaults happened in neighbouring streets in the Northumberland town in the early hours of Thursday, December 27. Officers were first called to an address on Sycamore Avenue at around 1.37am where a 37-year-old man was found and taken to hospital with non-life threatening injuries consistent with a stabbing. One minute later, a second alleged stabbing was reported at Howling Lane. Emergency services arrived and a 33-year-old woman was taken to hospital with serious injuries consistent with a stabbing. She has since been discharged from hospital. Two men have been charged in connection with the alleged assaults but the officer leading the investigation has made a fresh appeal for witnesses who noticed anything suspicious. You often won't know you've been clocked by one until it is too late. However the locations of the region's 'red light cameras' have been revealed. And the overwhelming majority are south of the Tyne - with just four in Newcastle. The cameras, located on top of traffic lights, clock drivers who jump a red light. 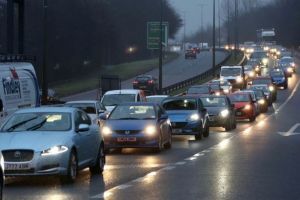 Over 10,000 North East drivers have been fined since 2015, a Freedom of Information request to Northumbria Police has revealed. However the number of fines has almost halved in recent years. Three people have been arrested after an alleged stabbing in Walker in the early hours of New Year's Day. Police were called to Walker Park Gardens, Newcastle, at 2.19am on Tuesday after receiving a report of an assault. When officers arrived they found a man with suspected knife injuries to his head and calf. The 26-year-old was taken to hospital with non life-threatening injuries where he remains in a stable condition. 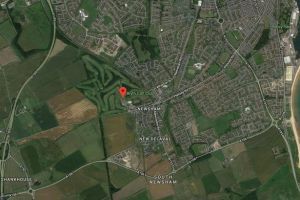 A Northumbria Police spokesperson said: "An investigation into the assault is ongoing but two men – aged 36 and 26 – and a 27-year-old woman were arrested shortly after the incident was reported. A former Perdu bouncer accused of attacking a teenager in the Diamond Strip bar has been quizzed by police. Facebook footage showed Lauryn Parker, 19, having an alleged altercation with the bouncer on Halloween. The nightspot sacked him following an investigation. The Security Industry Authoirty (SIA) which regulates doorstaff, suspended his licence - barring him from working in security. Now Northumbria Police has confirmed it has quizzed the doorman as it continues to investigate the incident. A 53-year-old man was interviewed under caution," said a force spokesperson. A man has appeared in court accused of the attempted murder of a woman in Northumberland. 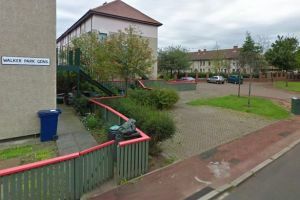 A 33-year-old woman remains in hospital after suffering serious injuries consistent with a stabbing in the early hours of December 27. Police were called at 1.37am to a report of an assault at an address on Sycamore Avenue in Alnwick. Emergency services attended where a 37-year-old man was taken to hospital with non-life threatening injuries consistent with a stabbing. A further report was received at 1.38am of an alleged assault at an address on Howling Lane in Alnwick. Emergency services attended where a 33-year-old woman was taken to hospital with serious injuries consistent with a stabbing. She remains at hospital in a stable condition at this time.